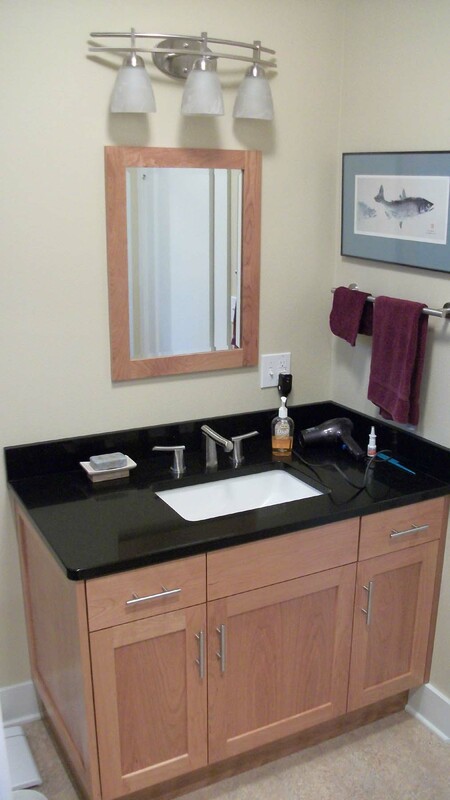 This remodel won for the residential bath $25,000 – $75,000 category for Whatcom County, Washington. The bathroom in this small, historic one-story home was gutted and completely remodeled to a more modern and sophisticated look, while paying homage to the original architecture. Custom cherry cabinetry, solid surface countertops, marmoleum, and tile were integrated to achieve our client’s vision. Porcelain tiles were strategically placed around a new window and clear shower doors were installed to allow natural light to enter into the space and complement the tile. 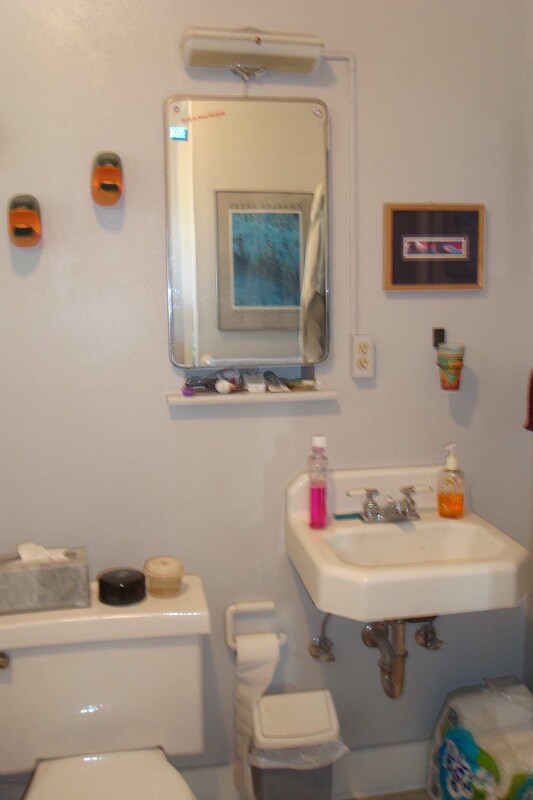 A new framed alcove allowed for additional privacy around the toilet and helped to modernize the space.